Goldman Sachs confirm their the view that Pound Sterling has some falling againtst the US Dollar to do. For analyst Kamakshya Trivedi, the negative outlook on Sterling rests with the view that UK economic activity is heading in the wrong direction to justify the currency around current levels. “While it’s true that growth and inflation have outperformed expectations this year, our analysis suggests depreciation in the Pound last year has played a big role in both cases — domestically-generated inflation pressures in particular still look quite muted,” says Trivedi. 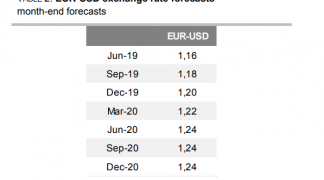 Trivedi's update on the outlook comes as GBP/USD is seen to be in an uptrend with a number of attempts at breaking the 1.30 level being made in late June. Momentum remains positive and there is a chance that another attempt will be made soon. However, these are expensive levels for GBP/USD argue Goldman Sachs who see the political backdrop as being unsupportive. “With the benefit from past depreciation waning, activity already looks to be slowing down, and inflation could weaken too. On top of this, news on the political front continues to look discouraging. “It may be the case that Tory underperformance in the recent election will eventually result in a softer form of Brexit. But without a clear sense of what a ‘soft Brexit’ implies, and divisions on this issue in both major parties, it almost certainly means that hammering out a clear transition arrangement with the EU over the coming months - a critical issue for firms planning their post-Brexit operations - will prove very difficult," argues Trivedi. If he is right, a big reversal in the Pound's fortunes are due. "Despite its recent resilience, we are sticking with our call that GBP will slide to 1.20,” says Trivedi. However, the US Dollar must presumably play its part and start recovering after what has been a soft year so far. 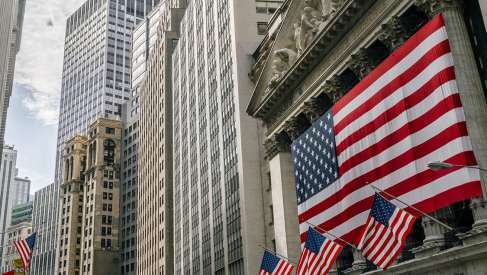 Goldman Sachs believe that the US administration must succeed in delivering on campaign promises regarding tax and spending to trigger a recovery. The Federal Reserve is also key to the story - just how many interest rates will they deliver in the next two years and how agressive will they be in winding down their massive balance sheet? Speed on the above is key for the Dollar - if they speed up the process the Dollar will find support. With that in mind, dovish testimony from US Federal Reserve Chair Janet Yellen to the US Congress weakened the US Dollar mid-week. "Yellen’s testimony yesterday was a bit of a ‘nothing burger’, as the White House might put it. It brought no information to light that was not already priced in by market participants," notes Arnaud Masset at Swissquote Bank. So the bulls will have to wait for US economic data to improve notably before Yellen and her team shift tone. For now, it appears that patience is required and the 1.20 target for GBP/USD is looking too negative.